The well-paced Tanzania Express safari takes in the highlights of safari country… with PRIVATE* departures available any day of the week! With your personal game ranger and vehicle, you will be able to visit the game-rich parks of Tanzania at a pace that suits your style. Classic level accommodations ensure both excellent value-for-money and high quality lodges. Welcome to Africa! Unwind at your hotel for your first relaxing night of the Tanzania Express Safari. Your first day of safari you head out towards Lake Manyara National Park. As you travel through beautiful grassland and rolling hills, you may see the Masai herding their cattle and goats. In Lake Manyara National Park, the bird life park is a bird watcher’s paradise. Expect to see a variety of animals such as impala, elephant, dikdik, bushbuck, hippo and, if you’re lucky, the famous tree-climbing lions of Manyara. Enjoy a picnic lunch before continuing on to famed Ngorongoro Crater for overnight. A highlight awaits you this morning as you depart to explore what is commonly referred to as the world’s largest wildlife zoo. After breakfast, you’ll descend through the early morning mist and 2,000 feet into the crater. Ngorongoro Crater is the world’s largest intact volcanic caldera. Due to its size and diversity, the crater floor is comprised of several distinct areas, ranging from forest, swamps, lakes and springs, to open grassland and some sandy dunes. With more than 30,000 resident animals, it is an awe-inspiring wildlife experience. You return to the lodge for a late lunch and then have the afternoon at leisure. Dinner at the lodge. Following breakfast at Ngorongoro, depart on the scenic drive to the Serengeti, enjoying game viewing en-route to your lodge. Arrive in time for lunch and then embark on the afternoon game drive through the vast Serengeti. Two days of glorious game drives in the land of endless plains. Morning and afternoon game drives in Serengeti National Park. All meals are served at the lodge, however, at the driver/guides’ discretion, a picnic lunch may be taken to maximize game viewing. A range of different habitats provide many different animals. Look for lion, leopard, cheetah, hyena, elephant, hippo, impala, zebra, wildebeest, grants gazelle, Thomson’s gazelle and many others. Also, there is a large variety of bird life. The sheer size of this park and its amazing changing scenery make this a day to remember. After breakfast, transfer to the airstrip and board the scenic ‘bush flight’ to Arusha. Here you will enjoy a farewell lunch before transferring to Kilimanjaro to commence your departure flight. Tanzania – Daily PRIVATE safari departures – with a minimum of 2 people. Features three of the popular northern Tanzania game parks. 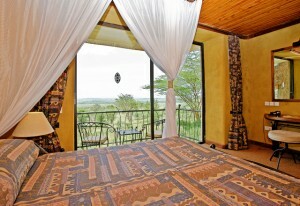 Travel in custom designed 4×4 safari vehicles with driver/guide and open roofs for game viewing. 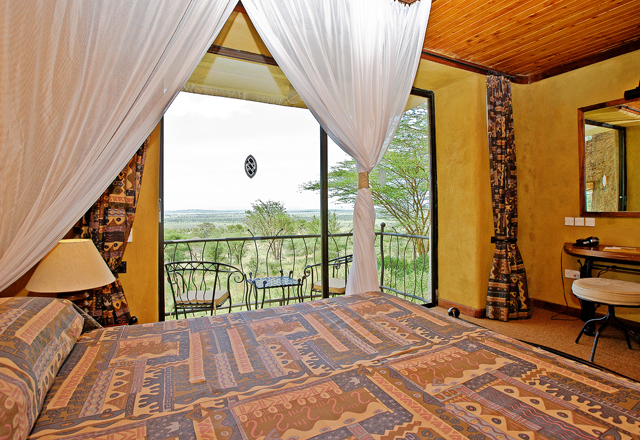 Safari includes meals, accommodation, park entry fees with visits to Serengeti, Lake Manyara and Ngorongoro. Scenic bush flight from Serengeti to Arusha. Soaring over the Serengeti in our private plane, we could see an ambling herd of elephants below. I felt like an eagle, circling lazily over its precious kingdom; a keen eye cocked for signs of life. The rhythms of Africa had won me over and on this beautiful blue morning, I truly felt as unfettered as a bird in flight.